Chelsea stunned the title-chasing Reds with a 2-0 win at Anfield five years ago. Everton and Liverpool clash at Goodison Park on Sunday. Liverpool to block Simon Mignolet exit until end of season? Simon Mignolet will reportedly have to wait until the summer before being allowed to leave Liverpool. Relive Sports Mole's live text coverage of Wolverhampton Wanderers' 2-1 win over Liverpool as Ruben Neves knocked the seven-time winners out. Ahead of Monday's FA Cup third-round tie between Wolverhampton Wanderers and Liverpool, Sports Mole looks at how the Reds could line up. Liverpool will reportedly keep second-choice goalkeeper Simon Mignolet at the club until at least the end of the season despite interest from elsewhere. Nice are reportedly considering an offer for Liverpool goalkeeper Simon Mignolet during the January transfer window. Chelsea assistant manager Gianfranco Zola declares Eden Hazard one of the best players in world football following his stunning winner against Liverpool at Anfield. Eden Hazard comes off the bench to inspire Chelsea to a dramatic 2-1 comeback win over Liverpool at Anfield in the third round of the EFL Cup. Liverpool manager Jurgen Klopp suggests that Dejan Lovren will feature for the first time since the World Cup final during his side's EFL Cup clash with Chelsea. Ahead of Wednesday's EFL Cup third-round clash between Liverpool and Chelsea, Sports Mole looks at how the Merseyside giants could line up at Anfield. Sports Mole provides predicted lineups, team news and a full match preview of the EFL Cup tie between Liverpool and Chelsea at Anfield. Sports Mole looks ahead to Saturday's mouth-watering Premier League showdown between Tottenham Hotspur and Liverpool, including team news, predicted XIs and a full preview. Ahead of Saturday's Premier League clash between Tottenham Hotspur and Liverpool, Sports Mole looks at how the Reds could line up at Wembley. Liverpool manager Jurgen Klopp responds to Simon Mignolet's comments questioning why the club sent Loris Karius out on loan instead of allowing him to leave. Liverpool announce that young goalkeeper Caoimhin Kelleher has penned a new contract with the Premier League club. Liverpool will reportedly block any potential transfer for backup goalkeeper Simon Mignolet following Loris Karius's recent loan move to Turkish club Besiktas. Liverpool goalkeeper Simon Mignolet questions the club's decision to let Loris Karius leave ahead of him and insists that he still wants an Anfield exit this summer. Jurgen Klopp insists that Loris Karius's high-profile errors against Real Madrid were not the catalyst for change, and he strongly considered sticking with the German. Liverpool are reportedly willing to consider bids for goalkeeper Loris Karius, who is thought to be wanted by Besiktas. Napoli president Aurelio De Laurentiis confirms that his club are still in talks with Arsenal over a potential deal for goalkeeper David Ospina. Liverpool goalkeeper Simon Mignolet will reportedly complete his proposed move to Napoli this week, having fallen down the pecking order at Anfield. Agent Nico Vaesen warns Napoli that they are running out of time to get a deal over the line for wantaway Liverpool goalkeeper Simon Mignolet. Manager Jurgen Klopp acknowledges that some players will still leave Liverpool before the end of August. Napoli considering Simon Mignolet approach? Napoli are reportedly considering an approach for Liverpool goalkeeper Simon Mignolet. Liverpool manager Jurgen Klopp admits that his players are "not all on the same level" of fitness ahead of their first game on Sunday. Barcelona manager Ernesto Valverde offers Jasper Cillessen assurances over his future at Camp Nou by saying that he wants the goalkeeper to stay at the club. Barcelona considering move for Liverpool goalkeeper Simon Mignolet? Barcelona are reportedly contemplating a summer move for Liverpool goalkeeper Simon Mignolet, who could be allowed to leave Anfield. Jurgen Klopp admits that Loris Karius and Simon Mignolet have every right to feel unhappy about their futures at Liverpool following the arrival of Alisson Becker. A report claims that Besiktas have started talks with Liverpool over a deal for goalkeeper Simon Mignolet, whom they are said to value at around £12m. Besiktas are reportedly lining up a £12m approach for out-of-favour Liverpool goalkeeper Simon Mignolet as a replacement for Fabri, who has joined Fulham. Jurgen Klopp reveals that new signing Alisson Becker was desperate to join his Liverpool teammates on their pre-season tour of the United States. New Liverpool goalkeeper Alisson Becker says that he spoke closely with Brazil teammate Roberto Firmino before joining the Reds from Roma. The agent of Simon Mignolet reveals that that the Belgian goalkeeper is looking to leave Liverpool this summer. 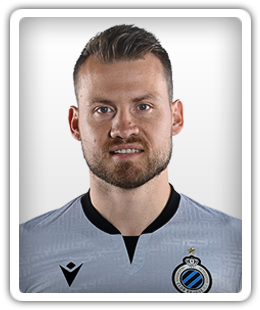 Liverpool and Belgium goalkeeper Simon Mignolet is believed to be a transfer target for Barcelona, who are said to be seeking a replacement for Jasper Cillessen. Former Liverpool goalkeeper Chris Kirkland hopes that Alisson Becker is the last piece of the jigsaw that sees the Reds emerge as Premier League title contenders. Liverpool to sell goalkeeper Danny Ward to Leicester City? Leicester City reportedly agree a price with Liverpool for goalkeeper Danny Ward, who could soon be relegated to fourth choice at Anfield.